The MEL is once again participating in Data Privacy Day, an annual international effort to create awareness about the importance of respecting privacy, safeguarding data and enabling trust. 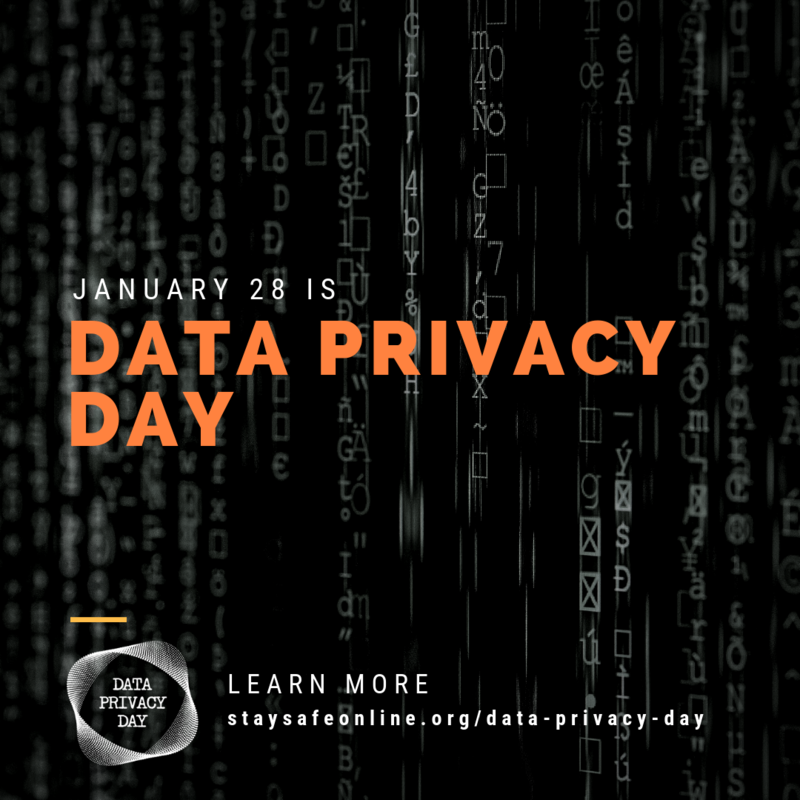 Data Privacy Day (DPD) is led by the National Cyber Security Alliance in North America. This year, DPD will spotlight the value of information. Whether you’re an individual looking to better manage your privacy and how your data is collected and shared, or a business collecting, using and storing that information, remember: Personal information is like money. Value it. Protect it. The MEL encourages members to participate at work — and at home. Do one thing, such as reviewing the MEL’s “Email Dos & Don’ts” infographic, learning about Cyber Security tips for tax season, or enacting the MEL’s Cyber Risk Management Program. To learn more about Data Privacy Day and how to stay safe online click on the image.